while quilting this quilt for Judy. lime green outer border fits into the strawberry theme. What a great modern idea for a quilt. Any of you trying your hand at designing modern quilts? 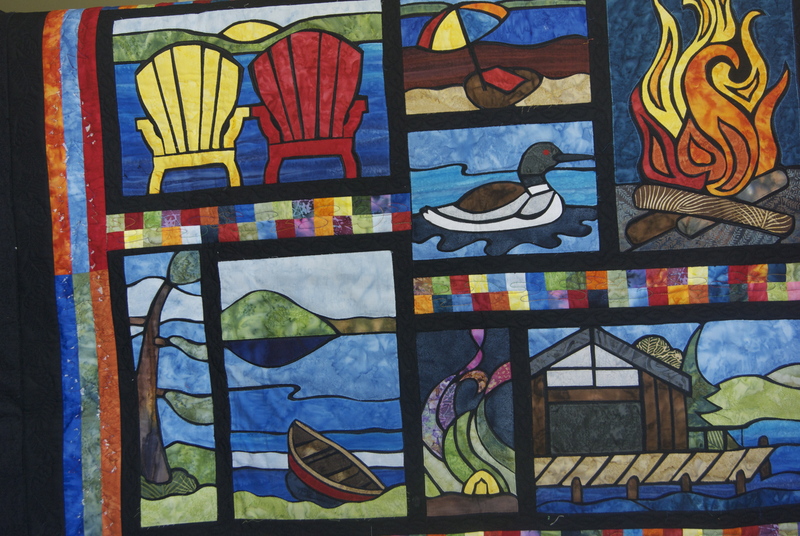 Because the quilt was modern, Judy wanted modern quilting on it. extra sparkle to the quilt top. 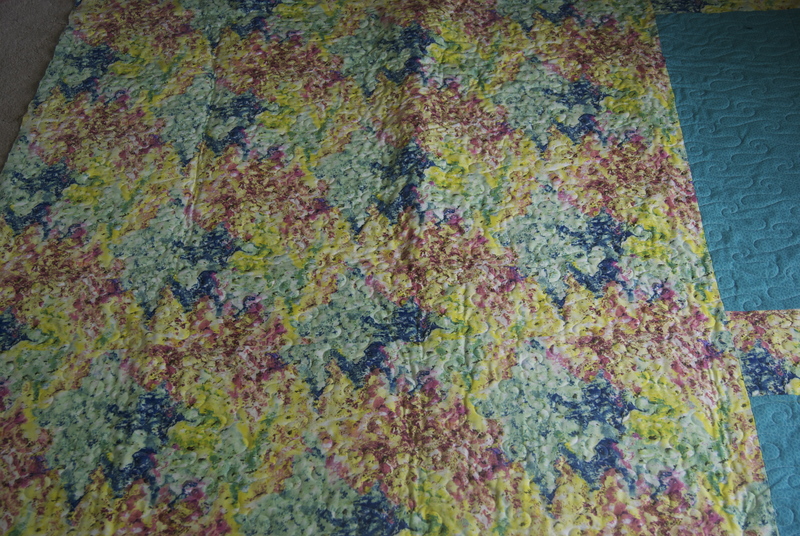 The backing was made up of a mottled fabric. It blends nicely with the quilt top. Judy also brought me this wall hanging. this area because we live near cottage country. 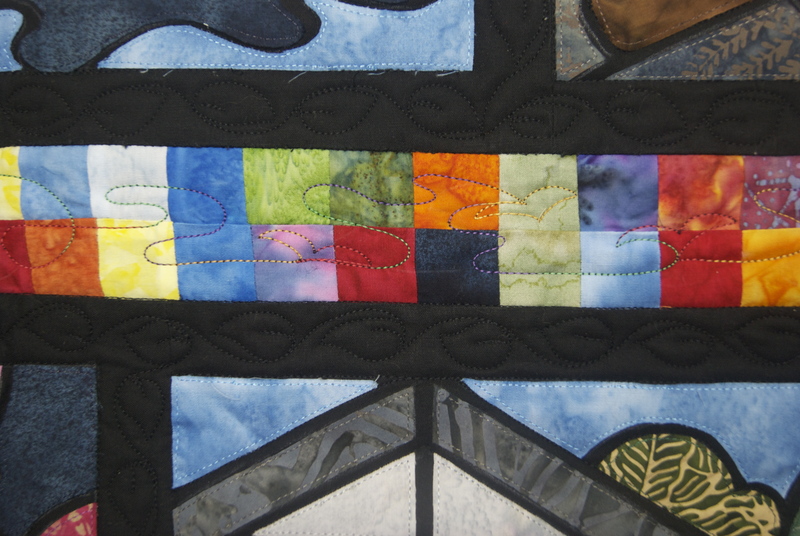 in the black and colored sashing as well as in the outer border. leaves due to the small space. the left of the black border. The white bits are pieces of tracing paper that I used to make symmetrical trees. to stitch out these trees and not use tracing paper. 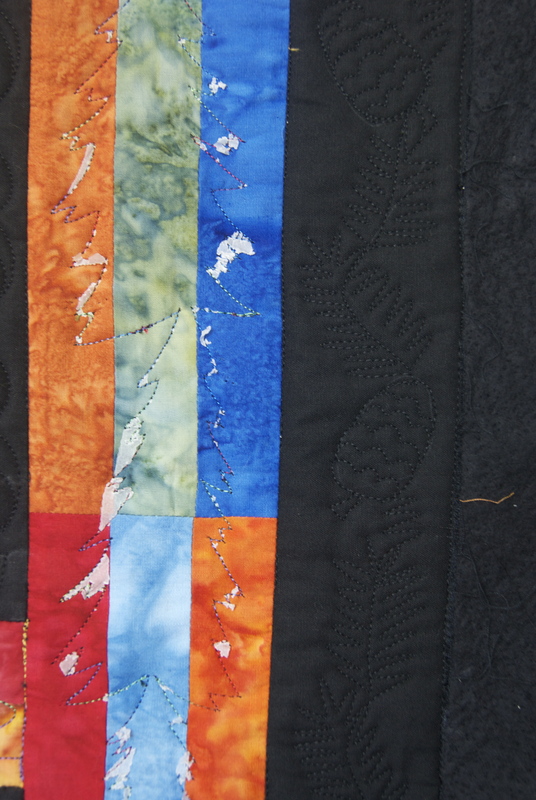 When you are done quilting, you can brush off the bits and pieces or iron it off. will be the first to know the results. polyester thread as well as a variegated 40 weight for the colored sections. 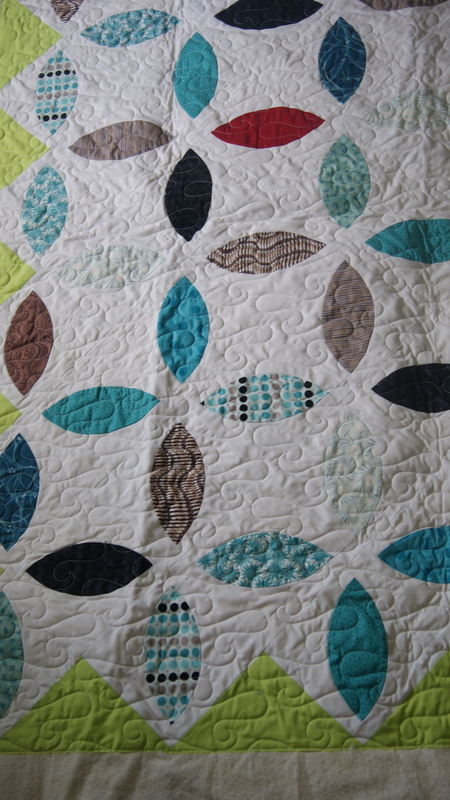 Your quilting is looking great, love them both! Thanks for the link up. 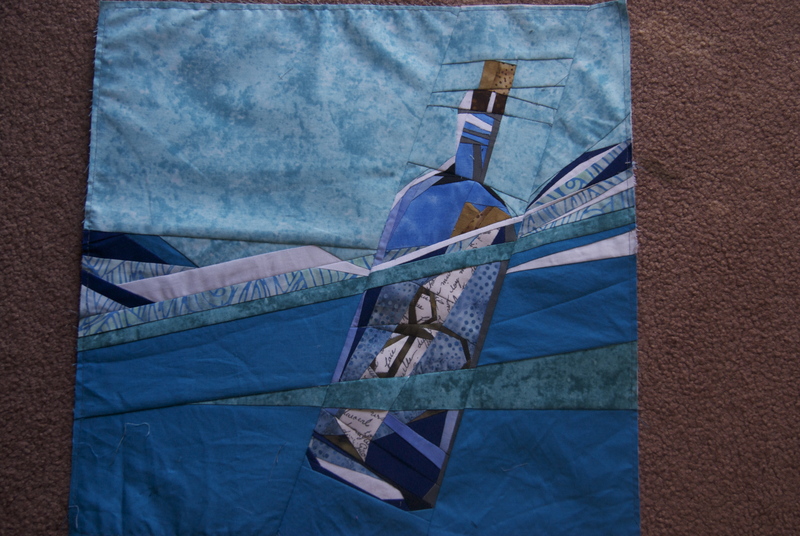 Your quilt and block are gorgeous!! I LOVE your message in a bottle block!